My cat constantly leaves the leftover litter on her paws after she uses the litter box. This was such a pain when it came time to clean the litter. I got so easily frustrated because the litter on the floor would get on the bottoms of my feet, leaving me annoyed. To be plain, it didn’t look the best either for when I had friends and family over. I had tried other products previously. My sister-in-law referred this product to me one day and I decided that I should try it. I ordered it off on Amazon on SALE for only $39.95 down from $49.95 and it came quickly! The first day I used it, I wanted to see how my cat would react to it too! I didn’t want her to stop using the litter box because sometimes cats are weird like that when you change things up on them. Turns out, she is totally fine with it! I think it is because of how soft it is. It says soft on the description, but it’s better than I thought it would be! My sister-in-law who referred it me said to get this one because of how soft it is on paws, as she has bought a similar product that actually irritated her feline friend’s paws. It gets all the remnants of litter that my cat brings out, which makes me feel a bit better about cleaning the cat litter! LOL. The holes are big enough that it gets all of the litter without leaving any on the top of the litter mat. It’s big enough to spread across enough area to catch all of her excess littler.It’s also really easy to clean out because it opens on three sides, which is something that I noticed a lot of other pads seem to not have (although this seems a bit obvious to me), which gives me more than enough space to clean it out! I can run it through the water in the shower without any problems. It’s even easy to rinse out in the sink it says. It’s sturdy enough so that I when I go to clean it, it doesn’t flop and get the litter everywhere. It’s definitely not an eyesore. The design is sleek. My tile is beige so I went ahead and bought the brown version which I am super grateful for. I like to keep my house nice and cohesive looking (which is probably the reason the litter pellets annoyed me so much before), so this was the perfect fit. It helps the automatic litter box blend in better in the bathroom, so it’s not the only thing my family and friend guests can look at. I would truly recommend this product to feline owner who is tired of their cats tracking all the litter throughout the house. I know how annoying it is especially if you are the type to want to keep your house all nice and clean. This cut down completely on the tracking from my cat and definitely helped me have less headaches. Next articleChoosing between Litter Robot, CatGenie, ScoopFree – What is the Best Litter Box? Hey Tom here, thanks Angela for the review. 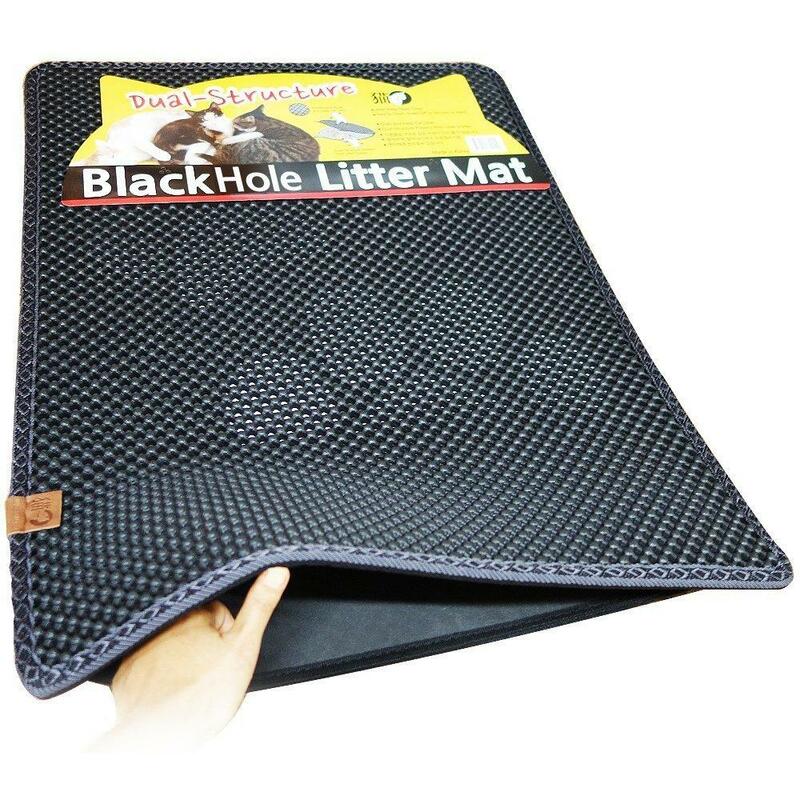 I have tried this litter mat and I thought it was spot on with the quality and performance. Many of the other litter mats i have tried in the past dont seem to really trap the litter like this one. On the plus side its a breeze to clean! I think my cat is the worst litter kicker ever and I NEED this! Anywhere i can get this in UK?